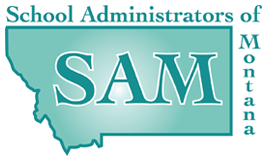 You may have heard that the Montana Educational Technologists Association (META) / School Administrators of Montana (SAM) have linked up with CoSN to create a Montana CoSN Chapter that will focus on advancing technology policies and practices to enhance all aspects of teaching and learning. Learn more here and read the press release for more information. What this means for you is that you now have a META/CoSN Institutional Membership that is going to give you access to a variety of professional advancement resources, publications, reports, webinars and major education initiatives such as Privacy and Digital Equity. CoSN provides resources that will further support META’s goal of providing educational technology resources to Montana Schools. There is no cost as this is sponsored through META and SAM. When you join META, your contact information will now be transmitted to CoSN Member Services where it will be uploaded and automatically activated for your CoSN membership. Once you are activated as a member of CoSN, you will be receiving an email with a welcome letter. You can click HERE to view a sample letter and sample membership instructions.